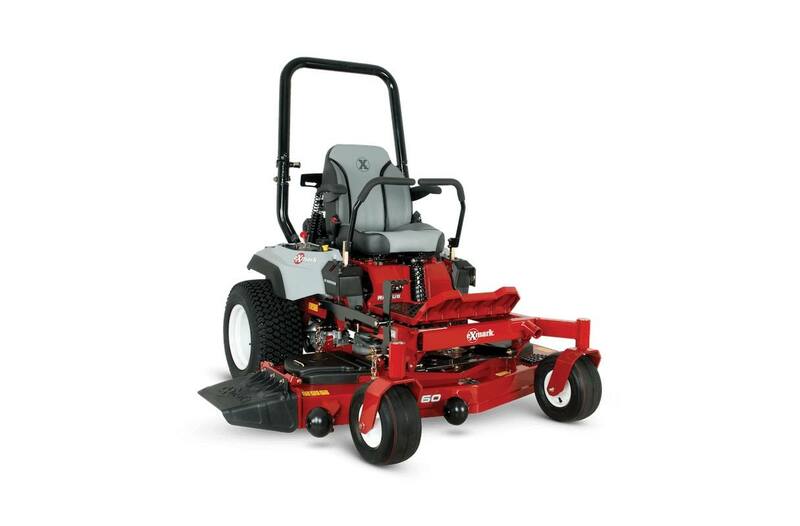 The next generation of zero-turn mowers from Exmark. 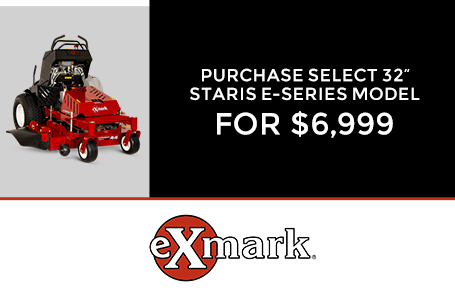 Exmark Radius S-Series delivers the cut quality and durability professionals demand at an unbeatable value. Powered by Exmark engines, with Hydro-Gear integrated transmissions and up to 9 mph forward ground speed Radius improves productivity. 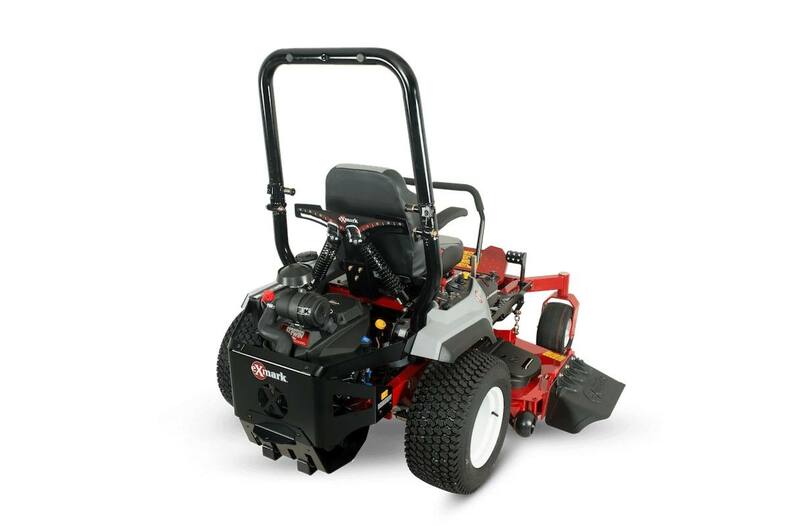 It features our UltraCut deck technology for greater efficiency and 2018 models come with a suspended operator platform. Available with 48-, 52- and 60-inch cutting decks. UltraCut Deck Technology: Exmark's exclusive UltraCut decks are featured on Radius models in a choice of 48- to 60-inch cut widths. Every UltraCut cutting deck features Exmark's exclusive maintenance-free, sealed-bearing spindle assemblies for increased durability and reduced downtime, combined with zero maintenance. Heavy Duty Unibody Frame: Fully-welded using 2-inch by 3-inch frame tubes, the Radius frame design places major components including the engine, hydro drive and fuel tank lower, with better mass centralization. 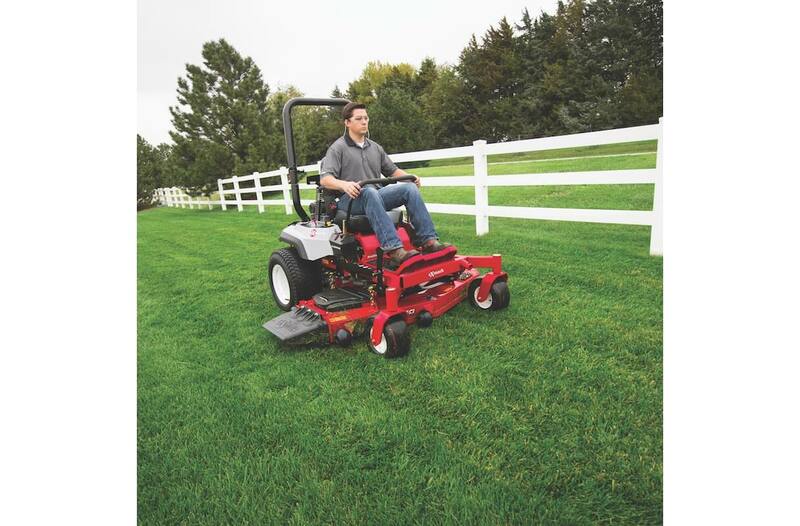 This gives the Radius increased hillside traction and stability, with heightened maneuverability. Blade Spindles: No maintenance, sealed and non-greasable spindles; 7.30"-diameter cutter housing contains 17mm (.67") diameter spindle shaft and hex blade drive. Tractor Frame: Unibody, welded, heavy-duty 2" X 3" rectangular tubular steel. Steering Control: Hydraulically dampened twin levers adjustable both fore and aft. Also has 2-position height adjustment. Fuel Capacity: 7-gallon (26.5-L) single fuel tank with single fill location. Drive Description: Dual Hydro Gear ZT3100, hydrostatic transmission with charge pumps, relief valves and independent, replaceable filters. Speed: Infinitely variable speed selection from 0-9.0 mph (14.5 kmph) forward, 0-5.0 mph (8.0 kmph) reverse. Deck Style Description: Full-floating UltraCut Series 3. Side discharge standard, with molded discharge chute and option to bag or mulch. Deck Construction: 10-gauge high strength alloy top that is formed and continuously seam welded, with 7-gauge side skirt. Cutting Heights: 1.5" (3.8 cm) to 5.0" (12.7 cm) in 0.25" (.6 cm) increments, adjustable from operator's seat.